Matsupela Kar V. Moleah, a third-year student at the University of Notre Dame Law School, died early Friday (April 1) in Philadelphia. He was 26. 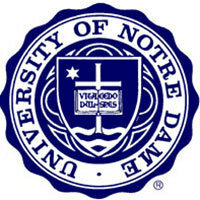 The University Counseling Center and Campus Ministry are available to offer support to members of the Notre Dame community. A service in Moleah’s memory will be held at a date to be determined. Originally published by Dennis Brown at news.nd.edu on April 01, 2016.